Harrison Jacobs/Business InsiderBashar al-Masri, the Palestinian-American billionaire behind the planned city of Rawabi. Bashar al-Masri, a Palestinian-American billionaire, is the developer behind Rawabi, the first planned city in the West Bank built by and for Palestinians. It’s a $US1.4 billion project. Masri has called Rawabi a “Marshall Plan to pick up” Palestine’s economy, but has been criticised by Palestinian activists for working with Israeli companies and the government to build the city. Masri told Business Insider that he thinks activists have made a mistake by targeting all of Israel with boycotts and divestment actions. If activists focused on boycotting the 400,000 Jewish-Israelis living on settlements in the West Bank, he said, the international community would be far more supportive. It’s a project he has personally described as “a Marshall Plan to pick up” Palestine’s economy. It’s also a project that has received plenty of criticism from Palestinian activists who have said it “deepens Israel’s grip on the West Bank” and its economy. Numerous Israeli companies were contracted in the construction of Rawabi and Masri, by necessity, worked closely with the Israeli government to get the city approved. 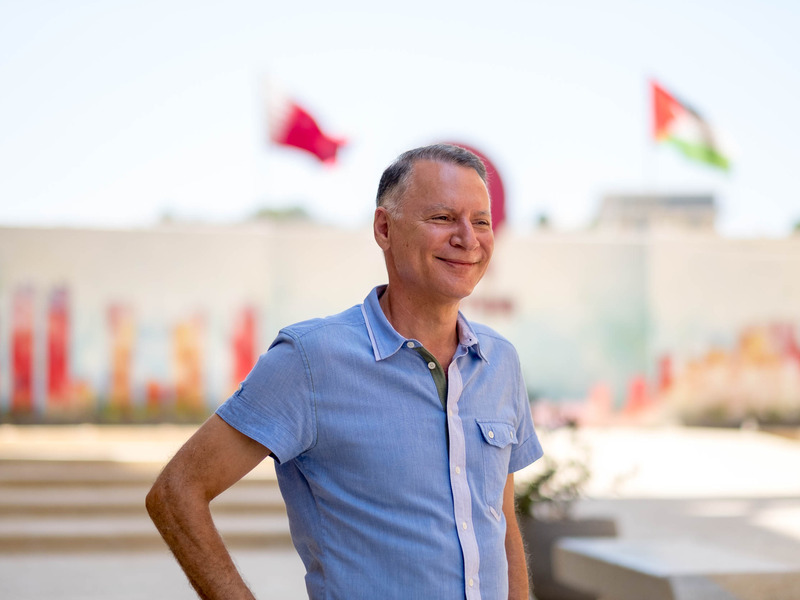 In a recent conversation with Business Insider, Masri said such activists miss the point: it’s a reality that Israel and the Palestinian territories’ economics are intertwined. As he put it, some 200,000 Palestinians already work in Israel and every freezer in the West Bank stocks Israeli ice cream. Many pro-Palestinian activists believe that any cooperation with Israel is negative. The chief activist movement pressuring Israel – Boycott, Divestment, and Sanctions (BDS) – seeks to isolate Israel economically and politically for its treatment of Israel’s Arab-Israeli citizens and its occupation of the West Bank, Gaza, and East Jerusalem. A major issue is the settler movement in the West Bank, where more than 400,000 Jewish Israelis have established communities on lands within the Palestinian territories. Started over a decade ago, the BDS movement has had its share of successes, pressuring companies like Israeli appliance manufacturer Sodastream, getting some pension and sovereign wealth funds to divest, and convincing the singer Lorde to cancel her concert in Israel. Experts have suggested the movement could cost Israel between $US15 billion and $US47 billion over the next decade. But, as of yet, no major corporations have stopped doing business in the country and many Jews, American, Israeli, and otherwise, see the movement as “anti-Israel” and “anti-Semitic, arguing that it unfairly singles out Israel for human rights violations when other countries have worse records,” according to Vox’s Zeeshan Aleem. Masri thinks activists have made a mistake by attacking Israel as a whole, rather than focusing on the settler movement in the West Bank. If activists focused boycotts on settler communities in the West Bank, rather than Israel as a whole, Masri said, there would be far more support from the US and Europe. “They wrote Israel proper into the battle and no big company is going to sign on to that,” said Masri. By targeting boycotts and divestment actions against all of Israel, Masri went on, activists have made it easier to pass laws in the US that prevent boycotts against Israel. Numerous such state laws have passed in recent years; a similar such bill was introduced into Congress several months ago. He’s not alone. Naomi Paiss, the former vice president of public affairs for the New Israel Fund, has written in the past that while boycotts are legitimate tactics, in the case of Israel, they are “counter-productive and inflammatory.” The BDS movement, she wrote, has served as a bogeyman for Israel’s right-wing to prove to the populace that the world is “anti-Israel.” Boycotting goods and services from the settlements specifically was another matter, she wrote. “We must engage, rather than disengage,” wrote Paiss, in a call to support pro-democracy and anti-occupation groups and forces.